To grow profitable revenue, you need an excellent team. 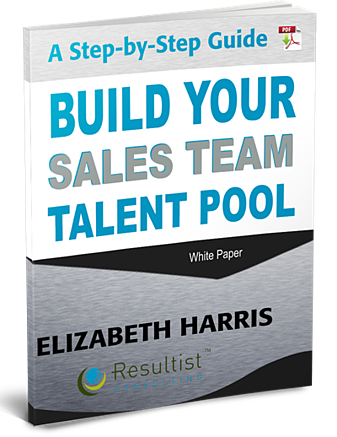 This free guide walks you through the process of developing a talent pool to build your sales team - step-by-step. If you find it difficult to source, recruit and hire great people for your sales team, this guide is for you. A Talent Pool Approach is candidate-centric, it focuses on identifying and meeting candidate needs. It allows for time for engagement, answering questions, and having two-way communication. The result is a better candidate experience before and during the hiring process. This, in turn, results in higher quality candidates with longer retention rates. This white paper is a cumulation of programs I have used for other companies with great success.